Loretta Cleveland, CPDT, owner and trainer of The Positive Pooch is a certified dog trainer with the Council for Pet Dog Trainers and a member of the Association of Pet Dog Trainers (APDT). She has been training dogs for over 15 years. She is committed to providing the most effective, convenient solutions to her client’s dog training needs. Loretta avidly pursues ongoing and professional development by attending several seminars per year and keeping current on all industry literature. Some of her favorite seminars were given by Bridget Carlson, Dr. Ian Dunbar, and Kathy Sado. 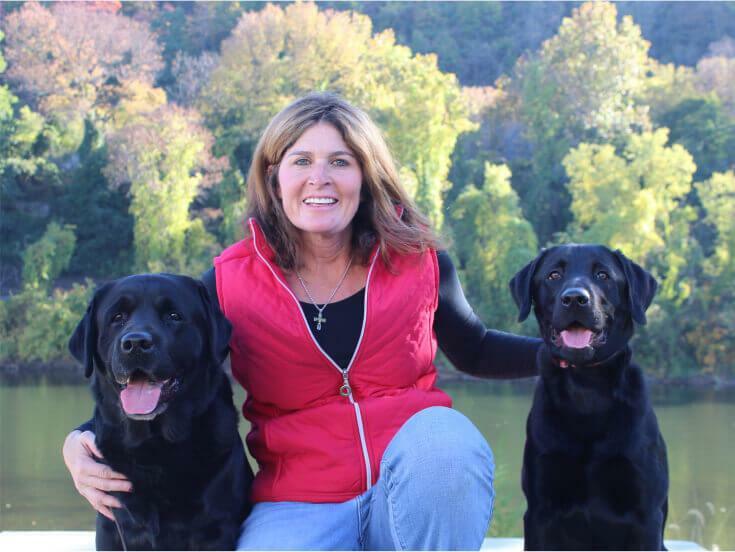 When she is not helping her clients, Loretta enjoys competing in obedience trials with her black Labrador Mason and getting her puppy Isaac ready for competition obedience as well. Also going for their daily run in the woods, or taking her dogs for a visit to a local nursing home. 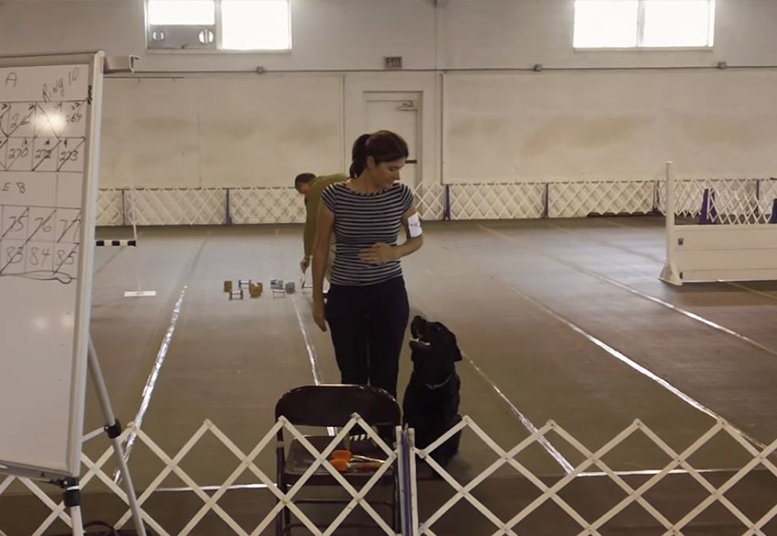 Watch Mason, Loretta’s black Labrador, compete in an obedience trial where Mason gets first place. Our training philosophy is based on very simple common sense. Every dog deserves a well-balanced life, which includes daily exercise, a good training program, socialization, and a lot of love! We at The Positive Pooch train with positive reinforcement. We use food reward, toys, and a lot of verbal praise. Dogs also need to learn in their training that there are boundaries. Loretta is the best of the best! My fiancé and I started training our mini goldendoodle Remmy with her when he was a puppy and he has come such a long way. She taught us how to be firm with him (which was tough for me in the beginning! ), but he has learned to listen very well and we are so grateful. He loves going to class every week and enters with his tail wagging. It is apparent that Loretta is a dog lover and all the dogs love her back. 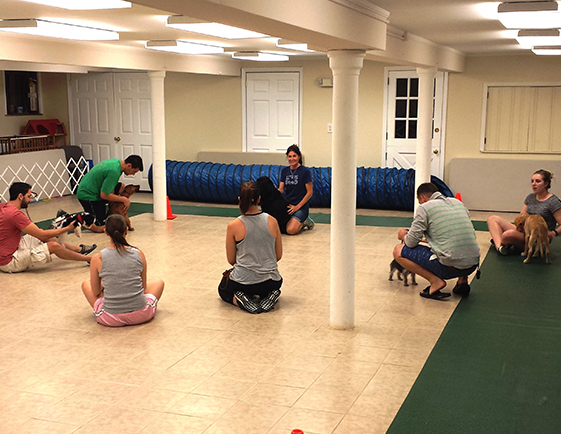 You won't regret training with her - it will improve the relationship between you and your furry best friend! Let’s Talk About Your Dog’s Needs!